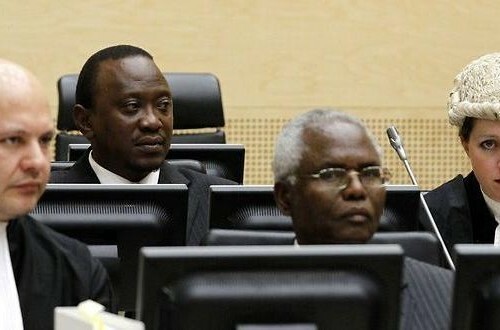 The Chamber stated that in light of the Prosecutor’s announcement, the case against Mr Muthaura could not proceed. With reference to the fact that Bensouda charged Mr Kenyatta and Mr Muthaura as indirect co-perpetrators, the Chamber requested that the Prosecution provide written submissions on the impact upon the case against the President-elect in light of the withdrawal of the charges. At the hearing, the Chamber scheduled a further status conference for Monday 18 March in order for the Kenyatta Defence to present further submissions in response to the Prosecution’s written filing. The decision to withdraw the charges has been taken by the Prosecutor whilst the Trial Chamber considers applications from both defence teams requesting that the Pre-Trial Chamber reconsiderits Decision on the Confirmation of Charges. On 8 March, the defence teams submitted further arguments regarding the reconsideration applications. For further info, please see the ICC website.